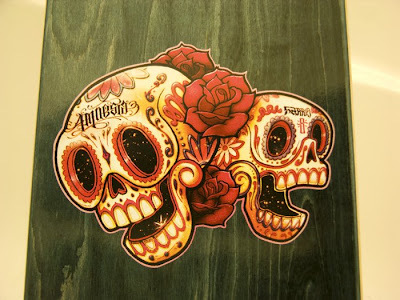 New SarrisXAmnesia mexicano decks in stores now. 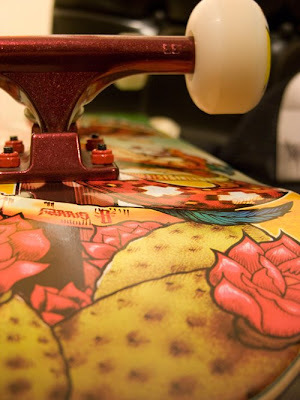 They came out real clean so im super stoked. 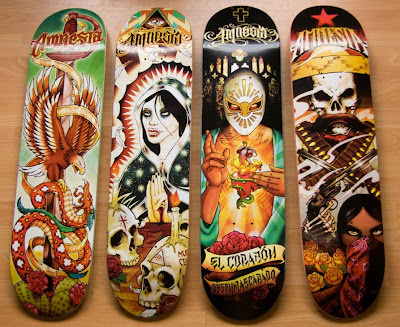 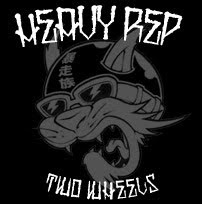 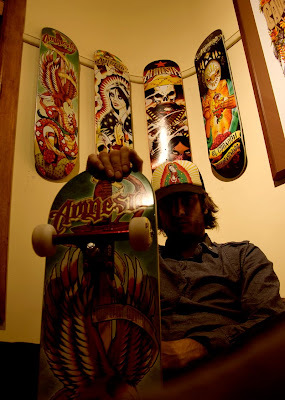 It was a tough decision which one i was gonna ride finally settled for "Cronica Mexicayotl" eagle/snake deck. 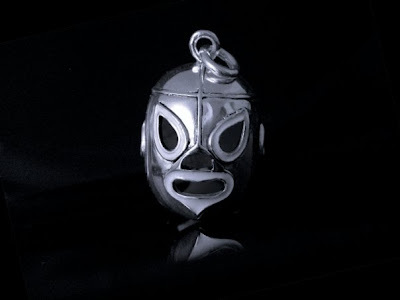 Ive designed some Mexican wrestling mask jewellery pieces,here's just a small sample from the collection, "El Santo" and "Huracan Ramirez", hope you like em.